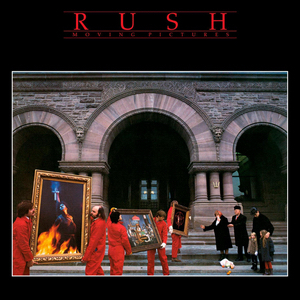 Moving Pictures is a title of an album by the Canadian band "Rush". It has a clever cover, in that it's a picture of people actually moving pictures, not "moving pictures" as in that old term for movies. I've been doing some of my own moving pictures over the past few days. For reasons that escape me, I have been anointed the keeper of the pictures and other documents (such as letters) that my mother accumulated over the years. And by years I really mean years: there was stuff just randomly strewn in a plastic box that ranged from 1937 until the 2000's. Now I have looked over "the box" a few times in years past. Times when I was looking for something in particular. 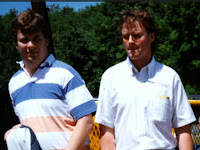 Times when I maybe just felt like re-living the past for reasons that were probably as sad as they were pathetic. Anyway, recent tours through the box afforded me the ability to gain just a little more clarity of some aspects of my mother's life that she would have never told me about when she was alive. Note the words "some clarity". There were dozens of black and white photos from the 1950's featuring an infant, who I strongly suspect is my sister. Note the words "strongly suspect". My mother and my sister had a strained relationship, to which I will say nothing more, other than the fact that I have a tremendous amount of respect for my sister. I probably will still need to spend more time in the box, particularly since I will be moving in December. I pulled out a few things out for scanning/archiving, and I probably will be doing more of that as well. There are also things I will need to destroy. Other things that I will force my brothers to take. One decision has been made: all of the old family photos have been boxed up and are headed to my sister in Gettysburg. I hope that the reflection they provide brings some sense of happiness. Or clarity. Or at least maybe a bit of finality.